The ClientLine online financial management reporting solution lets you access your payments-related data quickly and easily, so you can focus on putting that information to work for you. 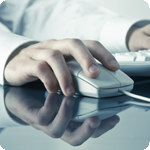 The ClientLine online payment reporting and analysis tool provides access to centralized and comprehensive payment processing information and allows you to analyze the data on a PC. Because it is a Web based tool, the ClientLine financial management system can generate business reports with data from multiple locations and then easily share the reports you create. Data is available by location, selected groups, or across all locations, for greater flexibility and effectiveness in managing your business. Rather than waiting for a report, you conduct the analysis that suits you, exactly when you need it. You can select from over 100 available reports or create your own by choosing which fields to include, from a comprehensive database that includes the processing of gift cards, checks and all credit, debit and Electronic Benefits Transfer (EBT) card transactions. Since it is Internet based, you can also easily distribute the report to a chosen location or group of locations at any interval you choose. You decide what information you need to manage your business. And, each report is designed to give you what you need, whether it is summary information or details from specific events.